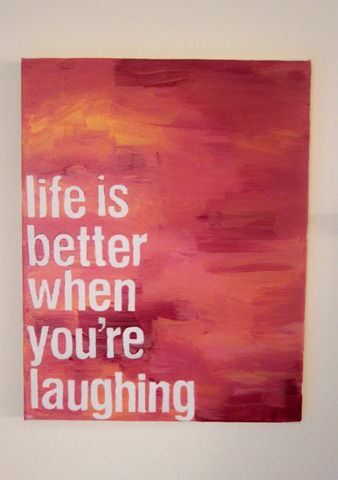 Laughter is good for you! A really good laugh...one that has you doubled over in those really deep belly laughs! Most days I wake up in a fairly good mood, and with a fairly good attitude - but I don't always sleep well at night; so that always affects how I react. I certainly don't wake up laughing; but I do try to be in a good mood...and there have been times when something has struck me funny and I'd just laugh out loud! Well, that is quite do-able, isn't it? Just get a nice long sleep at night; and don't forget the laugh! The past couple of days have been a little emotional for me... I am not completely sure why, at this particular time, I've been emotional. I've been really busy, perhaps a bit over-whelmed. That, along with the way my husband speaks to me, could very well have made me upset; therefore, feeling emotional. She made me laugh! It was just what I needed - to laugh and forget all that had happened earlier. I laughed so hard that...well, not quite that hard! But, it was just what I needed! This is Day 15 of "31 Days of Free Writes", linking up with Kate Motaung and the Five Minute Friday group. 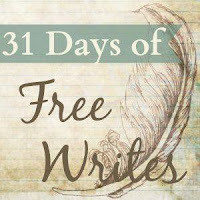 Check out all of my "Free Write" posts in this series here. 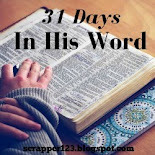 For more information on the "Write31Days" challenge, click here. Yes! I need a good laugh. I keep trying for the long sleep. Went to be a little earlier last night but had to get up 3x to use the bathroom. Geesh. Well, here's do a day of rolling laughter for both of us. Yes, Barbie! Sounds exactly like my nights! The thing is...when I finally get into the computer - writing or reading or whatever! - I end up being on it for too long and not going to bed until 11:30 or even midnight! Oh, well...today is a "catch up" day: reading, writing, some work I need to do for our Christian Women's Fellowship, make eye and other appointments...that kind of stuff. It needs to be done; today is the day! Such great advice. It is fun to see how a relationship with your children progresses as they get older. Right now, my son makes me laugh, but often times it is just him being a silly 2 year old. 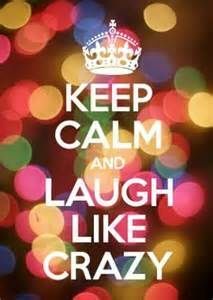 :) Laughing is how we get through the hard days. Oh yes, Amanda...my grandchildren can always make me laugh with all their antics and silly faces and trying to tickle me...the older ones know my neck is a very ticklish place; the younger ones will learn! I love to smile; I love to be happy; I love to laugh...but I don't think I do it often enough! 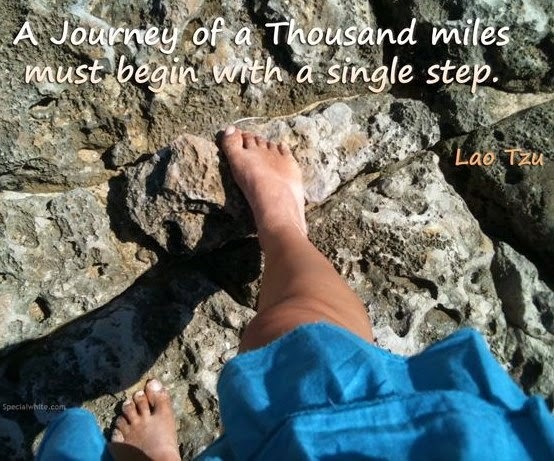 This post helped me too!!! And it was awesome to be with my daughter - in a good mood and teasing around with me! Tomorrow (Friday) I babysit the younger grands and will have some time with the younger daughter! Hahaha!!! I bet you could guess that one!!! First there come the snorts and that kinda stuff; the tears from all the laughing, and then the "other" tears...I had seen a quote about that but couldn't find it to use!!! Thanks for reading and commenting; I am also glad we've gotten to know each other through blogging...I have met quite a number of awesome gals this way!! Oh yes, Tara...it IS the best best medicine!! Appreciate your reading and commenting...I am NEVER going to get caught up in reading!!! I was about to say what Tara said. I feel when I can find something to laugh at my outlook is so much better. Thanks for sharing. Laughter IS the best medicine; and it's OK for you to repeat what Tara said, Mary!! I am sad to read that your husband's way of speaking to you is one which causes pain and stress - and sending warm encouragement to you as you cope with a difficult situation. And I am glad that you can find ways of keeping your inner spirit cheered and resilient with a good laugh, and thank-you for the reminder and wise words today. Alexa, it is what I deal with often; and it's hard to know from day to day what will set him off, or if it will be a good day. But, I do find ways to keep myself in good spirits! One day, I may not be able to get out often like I can now...but for now, I do what I can! i LOVE that you blogged about "Laugh" as my series is about Finding Laughter. I am "stealing" your quote about laughter and a long sleep. Yes, BOTH are so needed (by me) to have a better attitdue. Unfortunately I don't always get a good long sleep at night, so when I can, I take a nap. So glad you got some daughter time which helped turn around your attitude. This was the Five Minute Friday "free writes" word for the 15th and I found it a "fun" one to write about...who doesn't love to laugh! I'll have to check out your series about Finding Laughter...and you are welcome to "steal" that quote! I found it on Pinterest, so it's not really stealing! 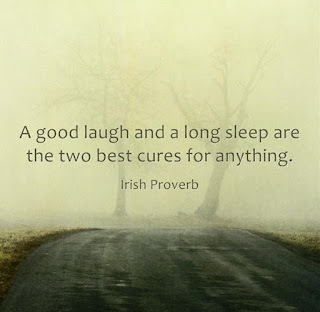 And, I don't get a good long sleep either; but it sure would help, wouldn't it! Yes! Last night I laughed hard, for the first time in ages. I was watching a funny movie with my daughter and my laughter set her off, and back again. Today, my mood was much improved. Great reminder. Thanks for sharing! Sometimes I can watch something funny and laugh out loud; and other times, it just doesn't appeal to me!! Like America's Funniest Home videos...some of them that people are laughing at are - well, they just don't really seem funny that someone has fallen and bumped their head or their bottom! But I sure do love to laugh and my grandkids give me a lot of laughter! Thanks again, Natalie...posted twice for some reason!! Thank you for stopping by to read my post today! 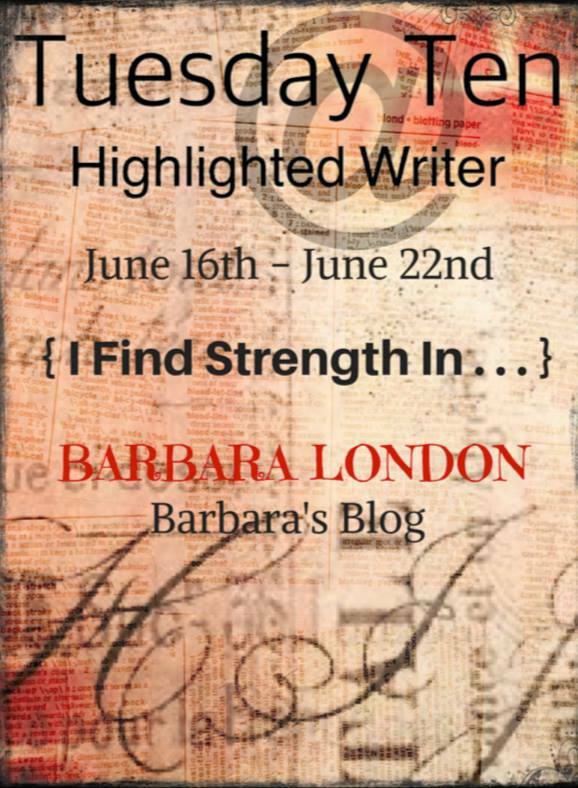 I appreciate your reading and commenting - your comments are a welcome encouragement for me to continue one of my favorite things - writing! You are special to me; and your words help in more ways than I can number...Thank you just isn't enough! 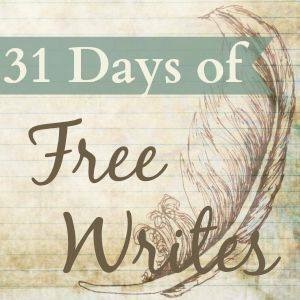 31 Days of "Free Writes"